Dell announced plans to advance its open-networking initiative which redefines traditional networking switch models to help customers develop future-ready data centers. Dell announced a reseller agreement with software-defined networking (SDN) pioneer Big Switch Networks to extend its vision of a new, disaggregated model for networking hardware and software. Dell’s agreement with Big Switch Networks helps deliver next-generation SDN fabrics and fills a critical gap in realizing the true promise of the software-defined data center. Dell will offer Big Switch Networks’ Switch Light OS on Dell Networking’s Ethernet switching portfolio, starting with the S4810 and S6000 series. 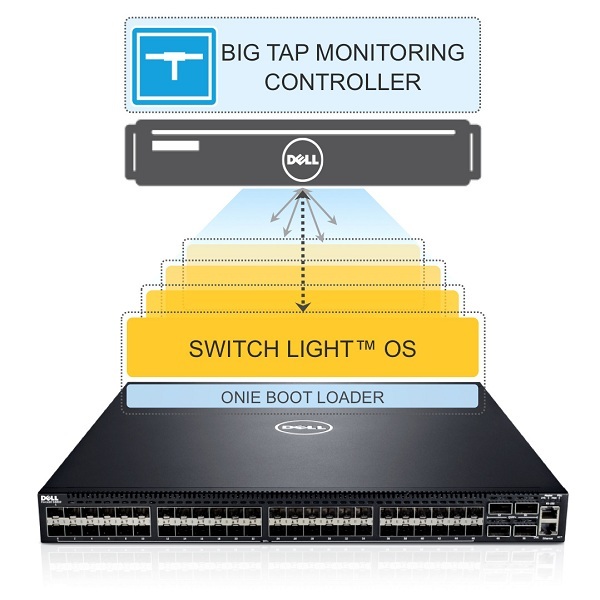 Dell will also offer Big Switch Networks’ production-ready SDN controller applications starting with the Big Tap Monitoring – an innovative new SDN-based network monitoring solution unlocking hidden customer value and helping solve an age-old, costly networking challenge. •	realize operational simplification for management, control and policies. •	Rapid standards-based innovation and availability of abundant open source data center solutions. Today’s networking offers exist at the end of two extremes. One extreme is “white-box” or “bare-metal” switching which is just that – simply a box with customers on their own to add an OS and other software, implement and service it. The other extreme is “black box” switching where everything is supplied by a single provider. This group includes brand name, traditional vendors. Dell’s open networking sits between these extremes by offering another way to lower traditional switching hardware capital expenditure benefits with potential upside of better-than-“white box” operational costs. •	Networking expertise in pre- and post-sales scenarios including planning, deployment, and support services. Dell expects to begin offering switches with Big Switch Networks Switch Light operating system and the Big Switch Networks Big Tap Monitoring Fabric controller in the second quarter of 2014.